Traditionally associated with the kings of Ulster, the great hilltop enclosure of Eamhain Mhacha (Navan Fort), Co. Armagh is an early Irish royal site. In recent times it has undergone a series of archaeological excavations, which have revealed a wealth of information about the fort and its inhabitants. One of the most exciting and curious finds uncovered during these works was a Barbary ape skull. 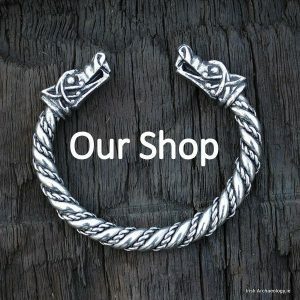 It was was discovered within a large figure-of-eight shaped structure that was located near the centre of the fort. This building was one of a number of very similar Early Iron Age structures that had been erected at this location, one on-top of the other. 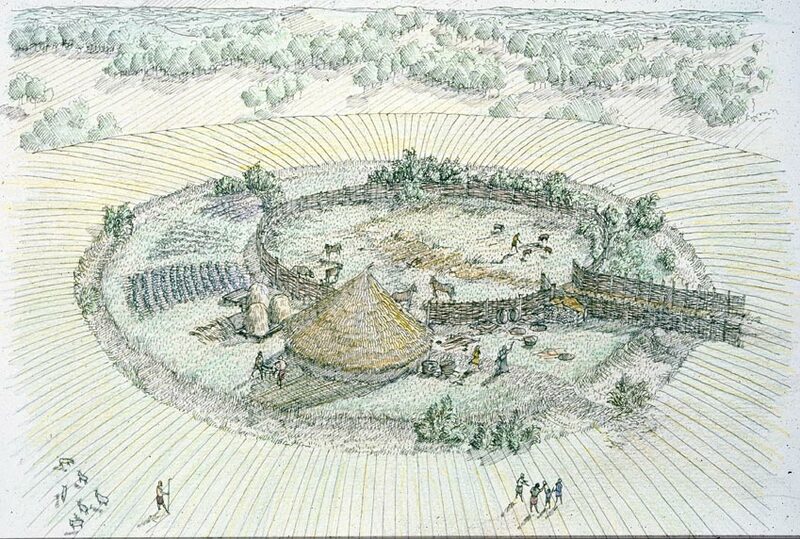 Indicative of continuous occupation, over a considerable period of time, it has been suggested that each of these structures represented a roundhouse with an attached circular yard (see the image below). The larger yard was probably un-roofed, while the smaller roundhouse contained finds suggestive of domestic occupation. These included, amongst others, fragments of pottery, glass beads, shale armlets, animal bone, bronze artefacts and hearth waste. 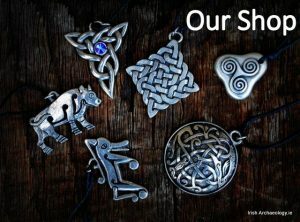 This range of artefacts may indicate that the buildings represented dwellings, possibly of high status individuals[i]. The ape skull from the roundhouse was subsequently radiocarbon dated to c. 390-20 BC, placing it firmly in the Early Iron Age. During this period it is likely that wild Barbary apes were largely confined to North Africa, which suggests that the Navan Fort primate underwent a considerable journey to reach Ireland. There is some evidence in the classical sources that these exotic animals may have been traded as pets (Lynn 2003, p. 50) and Barbary ape remains are recorded from a small number of archaeological sites. These include a specimen from an Iron Age hillfort in Luxembourg and two incomplete skeletons from Roman period sites in Britain (ibid). 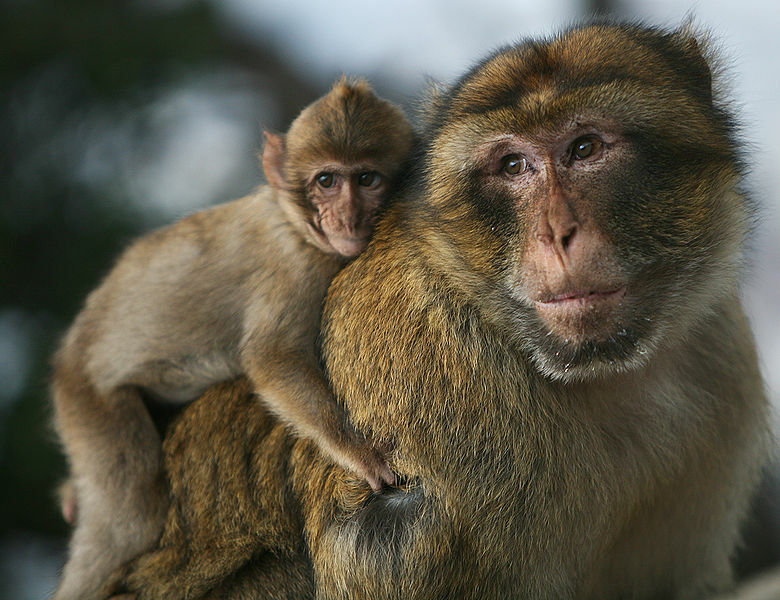 Although the exact circumstances surrounding the Barbary ape’s arrival in Armagh remains a mystery, its presence does indicate the existence of long distance trade routes between Ireland and the Mediterranean world. [i] Conversely the structures may also have been used in ritual activity as their layout has distinct parallels with structures found at other early Royal sites, such as Dún Ailinne in Co. Kildare. Thank you for sharing. It is very interesting. That’s mad! Never thought something like that would have made it to Ireland! I wonder did they worship it or was it really just a domestic pet! 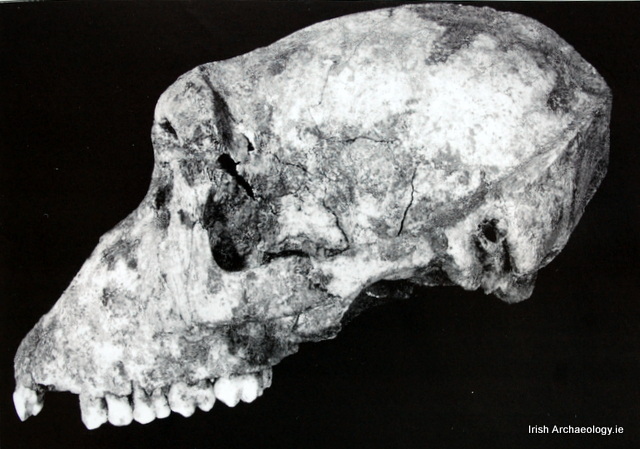 Chris Lynn, who worked on the Navan Fort excavation, brought the Barbary ape to my attention in 1982 and I found and filmed the skull in the British Museum. Subsequently I speculated on it in The Atlantean book and films. Fascinating. Supposedly my McCarten heritage dates back Rubricus Magnicus of Navan Castle and I find it very interesting that my ancestors had a pet monkey which I also did at age 6 in 1959, over 2,000 years later. Amazing.